Ram Charan is the son of Mega Star Chiranjeevi, grandson of Allu Rama Lingaiah, nephew of Pawan Kalyan. Ram Charan has made his acting debut in ‘Chirutha’(2007) directed by Puri Jagannadh. He got married to his loving life Upasana Kamineni in 2012. Ram Charan’s first movie name is Chirutha and the heroine is Neha Sharma and directed by Puri Jaganandh. Cherry’s first cinema released in 2007. 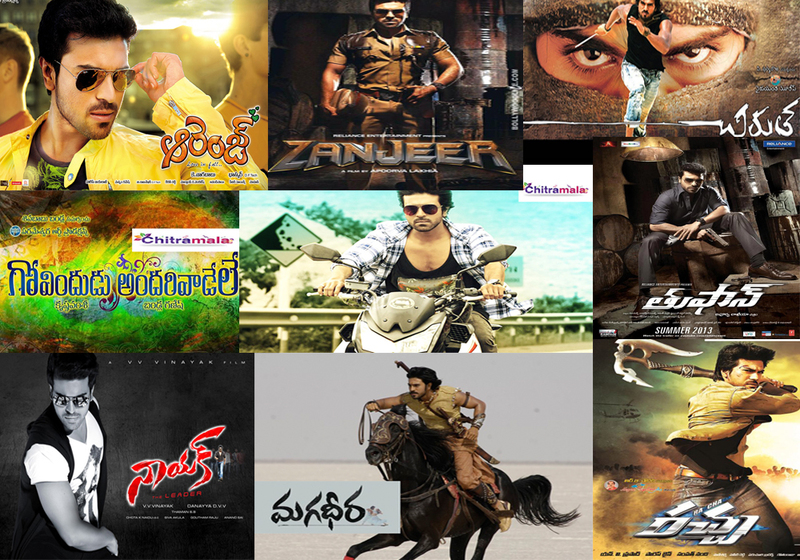 Here is the all list of his Telugu movies acted so far by Ram Charan Teja. 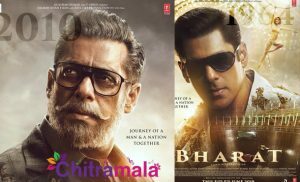 Some of his films also released in Hindi and Malayalam, Tamil languages. Check here for hits and flops of mega power star Ram Charan. 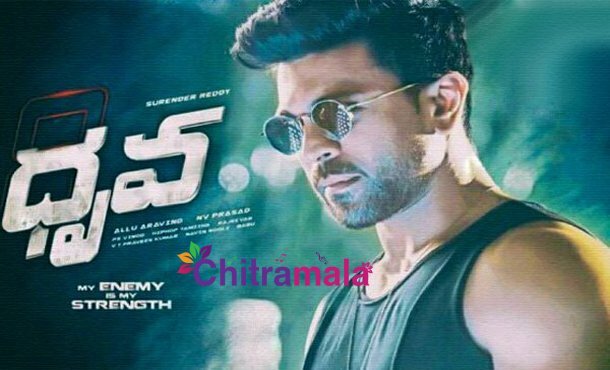 Ram Charan is presently acting in a Telugu remake of Tamil super hit movie Thani Oruvan. More details are awaited. 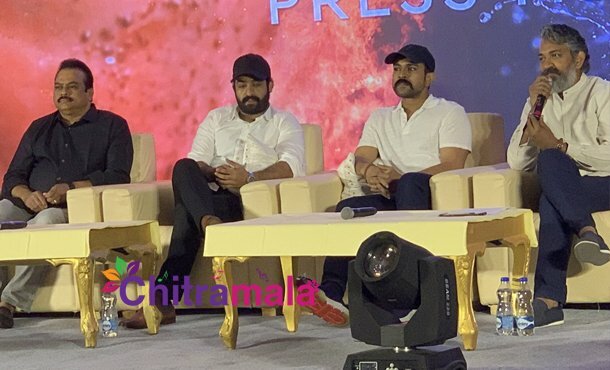 Ram Charan, Jr NTR and SS Rajamouli movie RRR will be released on July 30, 2020. Alia Bhatt pairing up with Ram Charan in this flick. MM Keeravani scoring music. Ram Charan and Boyapati Srinu movie Vinaya Vidheya Rama released on January 11, 2019. 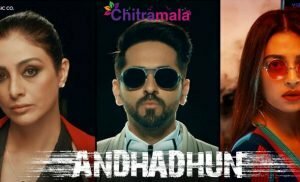 The film turned as disaster at box-office. Kiara Adavani played the female lead roles. Devi Sri Prasad scored music. Chiranjeevi and Nayanthara played the lead roles. Directed by Surendar Reddy and produced by Ram Charan Konidela. A. R. Rahman scored the music. The movie released on 2018. Ram Charan and Samantha Ruth Prabhu played the lead roles. Directed by Sukumar and produced by Surekha Konidala. Devi Sri Prasad scored the music. The movie released on 2018. Chiranjeevi and Kajal Aggarwal played the lead roles. Directed by V V Vinayak and produced by Ram Charan Konidela.Devi Sri Prasad scored the music. The movie released on 11 January 2017. 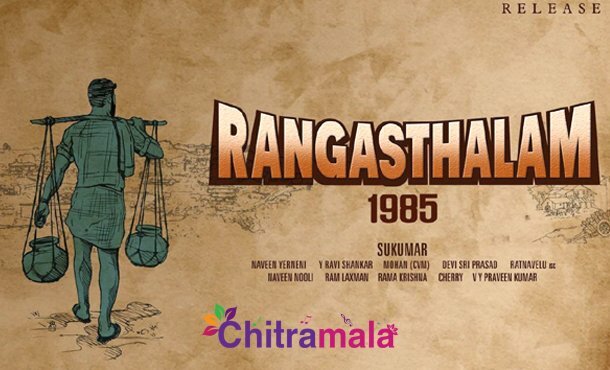 Ram Charan and Rakul Preeth Singh played the lead roles. 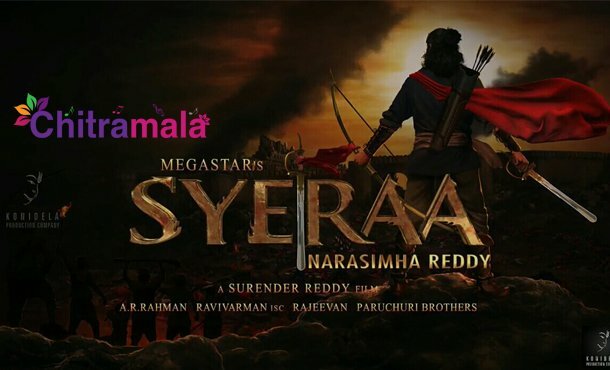 Directed by Srinu Vaitla and produced by Danayya. SS Thaman scored the music. The movie released on October 16, 2015.